I know a way to get an upgrade on every flight for only $4. I really do. I've been doing it for years and it works every time. On every flight. I'm a frequent traveler for both business and pleasure. I have traveled to more than 120 countries, so I've been on lots of flights, both international and domestic. And this trick works. You can use it get upgraded, every time, every flight. 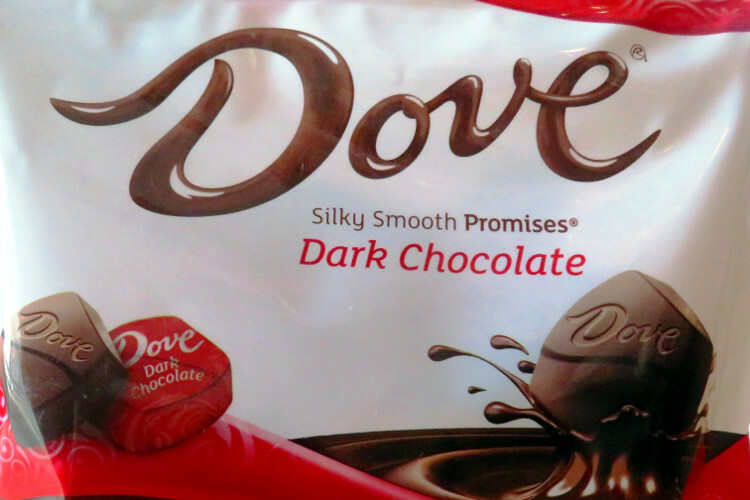 Before you go to the airport, go to your local grocery store and purchase a large bag of Dove Dark Chocolates. Or two or more bags if you are flying round trip and/or having multiple flight legs. Not the regular chocolates, but the dark chocolates. And not a small bag that you can purchase by the cash register. You need to go to the candy aisle and buy one of the large bags. It will set you back about $4 per bag. It has about 30 pieces of individually wrapped chocolate in an 8 oz. bag. Then set it aside, but remember to put it into your carry-on bag or purse. When you get on the plane, if you have an aisle seat, just take your seat and look around. 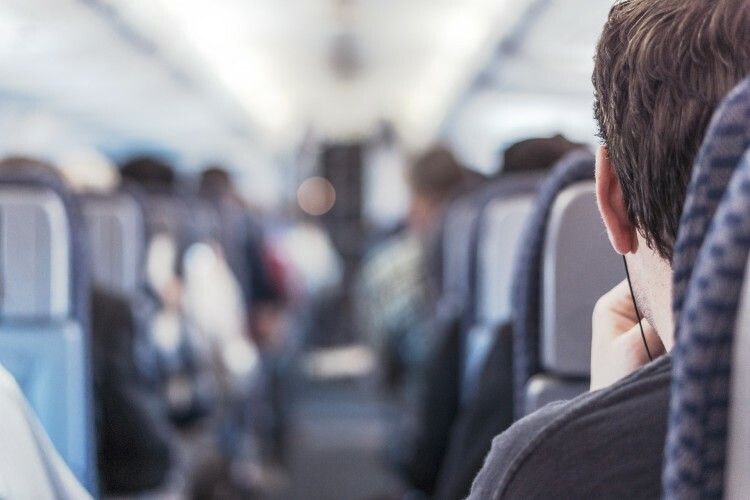 If you have a middle seat or window seat, you can usually do this as you are approaching your aisle so you don't have to get up and disrupt others in your row. Find the flight attendant who is most likely working your section of the plane. Most planes are split in half, so if you are forward of the exit row, take it forward. Otherwise, take it to the back. Or just wait for the flight attendant to walk by your seat, since they are often moving about helping passengers with getting luggage stowed. These are for you. Please share with the other flight attendants. Have a nice flight. That's it. Then walk back to your seat. Wow, thanks, what a nice gesture. We love chocolates, thank you! Thank you, that is so nice! Sometimes they just stand there with their mouth open, not sure what to say. What happens next is the magic of this approach. Several things are going to happen. The flight attendant will take note of you (this is an important part of the upgrade, as I will explain later in the article). And where you are sitting. You are now singled out as that one recognizable face in a sea of faces entering the plane. The flight attendant will strain to see you better as you walk away, then sit down. They might even approach you as the plane is continuing to load and, in my case, see that I am traveling with my wife (as is most often the case). But at this point it's usually just a smile from a distance. It's important to note that sometimes the upgrades come from the flight attendant to whom you gave the chocolates, but sometimes the upgrades come from other flight attendants. Remember the "Please share…" request you made? In almost all cases, they share. The bag is too large for one person, so I have often seen the chocolates being handed out to the other flight attendants by the handful. I have even been toasted from afar by a flight attendant with their handful of chocolates. And noticed that the flight attendants are all talking about me. Yes me. Just little old me, sitting there in coach. Usually after takeoff, once we have reached cruising altitude, that's when the upgrades start happening. Sometimes the upgrade is an offer to move to a better seat, if one is available. I've been offered to move to an open seat in first class, business class and premium economy. Usually, I am traveling with my wife and I offer the seat to her. Occasionally there are two open seats, but most of the time when a seat upgrade is offered, it is only one seat available or possibly two separated seats. I am happy even if only my wife gets an upgraded seat, just knowing she will get an upgraded level of service. Sometimes the upgrade is a better meal or a snack brought from the first class cabin. Or other fun trinkets that usually stay behind that none-shall-pass curtain separating first class from the rest of the world. Sometimes the upgrade is free food on flights where the food has a price tag. I don't expect it, but sometimes it happens. If you want anything else, just let us know. Sometimes the upgrade is a free glass of wine. I don't drink, so I offer it to my wife. Sometimes my wife has tried to pay for her glass of wine and her credit card has been refused with a simple wink and smile from the flight attendant. Or a fake swipe of my credit card. Sometimes the upgrade is simply a smile, a thanks, or just an overall happier flight attendant. And, this is really important: you have not only upgraded your experience onboard, you have upgraded the flight experience for everyone else onboard as well. Why? Because the flight attendant feels appreciated. At the start of the flight. They are there to serve us, yet someone took the time to serve them, in advance, in a small way, and wish them a nice flight. Yet every single flight is an upgrade. And here is the key: not necessarily from the flight attendant. Sometimes there may be no noticeable change or even an acknowledgment from the flight attendant. It happens. Yet giving the gift is still an upgrade every single flight. Why? Because it is an upgrade in me and my behavior. Remember what I said about the flight attendant taking note of me? That has a very positive effect on me. Because now the flight attendant thinks I am someone special. Side note: I know I'm not, but at least in a short-term, temporary way, I am special to that flight attendant. So by that simple act, I have removed from me my ability to complain, be disruptive, grumpy, unhappy or in any way falling short of what the flight attendant's expectations might be of me. It turns me into a better person. And I have an upgraded experience on the flight. It works every time. Your attitude in how you approach this is key. You should be giving away the gift with the expectation of nothing in return. There are precious few opportunities to do this in life. Most giving is with the expectation of getting something in return. If you give the gift with the expectation of getting something material in return, then please do not use this approach. But if you give with no expectation of get, it will actually give you a sense of inner peace and happiness. You are giving away, yet receiving the greater gift in return. If you're unsure about "this giving away thing" then just try it. You will see what I mean. I have done a lot of business travel and personal travel in my life, at this point approaching a million miles in the air. Flight attendants can be some of the most overworked, yet underappreciated employees out there. Often they are bilingual or even trilingual (and I am neither, just a typical monolingual American) and have to respond to the needs of 100, 200 or even 300 people all jammed together into a tiny metal tube for hours on end. Feed them. Water them. Clean up after them. Respond to their every whim and need. And, in case of an emergency, get them off the plane safely before self. It might seem like a glamorous job, but it definitely has its rough patches. So anything we can do to say "You are appreciated!" is a good thing, even if we receive nothing tangible in return. Remember that the "magic" in this approach is not necessarily with others. The magic is with you. You have the opportunity to upgrade every flight. Maybe you don't personally need to give away candy as your way to upgrade you and others around you. But I do. It works for me. And that is the true magic. A better me. Try it yourself. And let me know if it worked for you as well. The first couple times you do it, it will feel odd and awkward. You will get used to it. My wife could never do it herself. She thinks it feels kinda cheesy (and I guess it probably is), but she is also the first one to acknowledge that it works. And I have never had a flight attendant refuse the gift because they think it's cheesy. If you forgot to buy your bag of candy in advance, most airports sell candy packs as well. But they are usually more expensive ($10 or more) and are not as unique as the Dove dark chocolates. Trust me on the dark chocolate thing. It makes your gift more unique and thoughtful than one you bought in the terminal right before the flight. If your grocery store doesn't sell them, find one that does. Most Walmarts carry them as well. Ignore the perks for a minute and just look at the basics. This simple act brings joy to both parties. And, by extension, it brings joy to those around those two parties. This is an opportunity to provide joy to others by a random act of kindness. If you are wondering about how you can do more random acts of kindness, this is one way to do so. It is a fascinating study of human behavior when you, as a random person, give another random person a gift, even a small one, expecting nothing in return. The different reactions are fun to watch. Even if it is not paid forward to you, it will be paid forward to someone else. Practicing this approach will eventually have you thinking about your behavior toward others outside the airplane as well. I still have a whole lot of growing (and growing up) to do in my life and this is a reminder to me that I need to be kinder and gentler to all people, especially those in service roles.